Today, the Federal Appeals court upheld the FCC’s rules for an open internet. Also, a new Netflix app for ipad with picture in picture capabilities, a Kindle update that will make a lot of users happy, and a seemingly overreaching copyright suit about the Walking Dead. In deals, 10 books in the Aimee Leduc mysteries and ongoing deals on Kindles, Fire tablets, Fire TVs and the Amazon Tap. Net Neutrality Wins: Federal Court Upholds FCC Open Internet Rules (Motherboard) Given the importance of the internet in our lives, this is a win for the people. However, that may not mean that the fight is over. Netflix’s iPad app now supports Picture in Picture multitasking (The Verge) Can I please, please, PLEASE have this for my desktop? AMC threatens copyright lawsuit over Walking Dead spoiler (TorrentFreak) Wait a minute – they are claiming copyright infringement for talking about what happens on an episode that hasn’t aired yet? Kindle Update v5.8.1 Restores Reading Progress Dots, Adds New Sharing Options (The Digital Reader) Good news for lovers of those progress dots: They’re back! Amazon’s selection of Kindle Daily Deals includes 10 books in the An Aimee Leduc Investigation series by Cara Black. In Today’s Deals, Father’s Day watches from Salvatore Ferragamo. The Barnes and Noble Nook Daily Find is The Life Intended by Kristin Harmel for $1.99.The Romance Daily Find is You and Me and Him by Kris Dinnison for $2.99. Kobo’s Daily Deal is The Lighthouse by P. D. James for $1.99. iTunes’ Weekly Bestsellers Under $4 includes The League of Night and Fog by David Morrell for $1.99. Google has a selection of Epic Sci-Fi & Fantasy that includes some Star Trek Voyager novelizations. 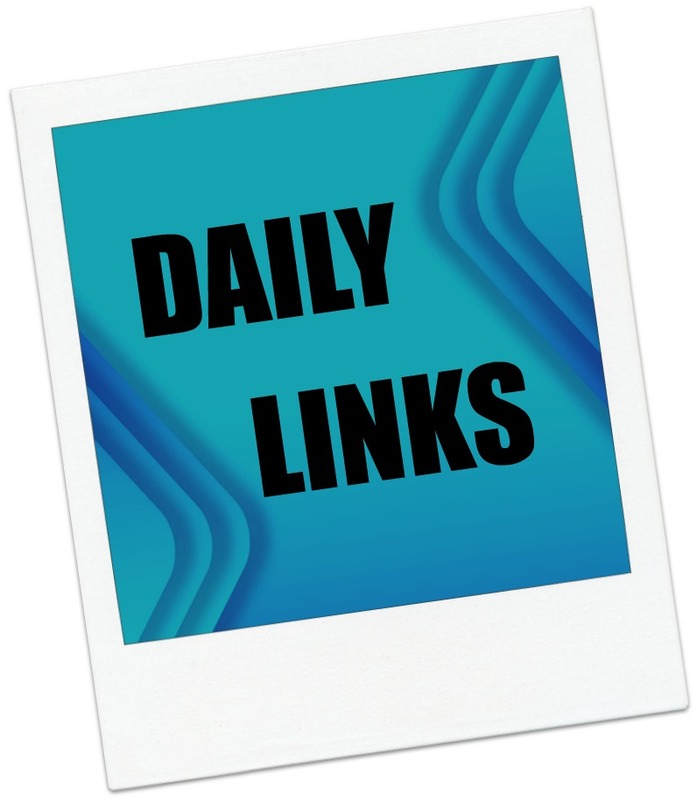 This entry was posted in Daily Deals, Daily Links and tagged Aimee Lejuc, AMC, iPad, Kindle update, Net Neutrality, Netflix, progress dots, Walking Dead. Bookmark the permalink.